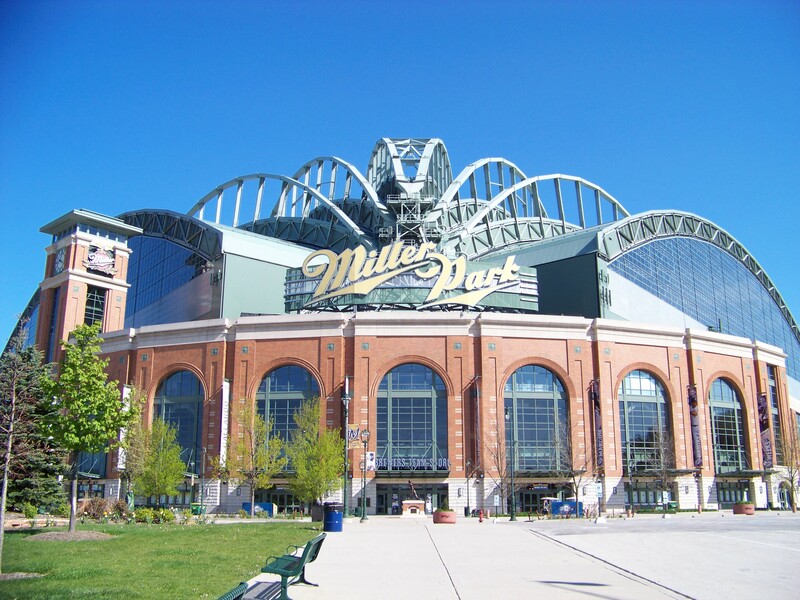 Two teams of Class-A minor-leaguers will get to experience playing in a major-league stadium when Milwaukee’s Miller Park hosts a Midwest League game on Friday, April 12. It will be a “home game” for the Wisconsin Timber Rattlers, MWL affiliate of the Milwaukee Brewers. They will play against the Quad Cities River Bandits, MWL affiliate of the Houston Astros. First pitch is scheduled for 7:05 p.m. Gates open an hour earlier, and parking lots open two hours before game time. Tickets cost $15 for field diamond box and field diamond platinum seats, and $10 for all other seats. Parking costs $10. Tickets can be purchased online, at the Miller Park box office, or by calling the Brewers ticket office. Earlier this week, the Brewers announced that their home stadium will no longer be named Miller Park after the 2020 season. American Family Insurance will have naming rights to the ballpark beginning with the 2021 season. Want to see a LEGO version of Miller Park that was at a Timber Rattlers game last year? Click here to check it out! This entry was posted in Midwest League, Quad Cities River Bandits, Wisconsin Timber Rattlers. Bookmark the permalink.